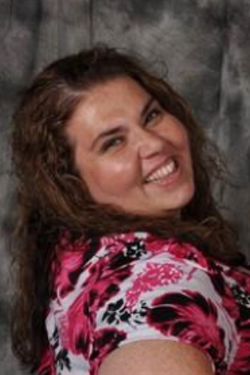 Stacy Cunningham, has served as the director of choirs at Leyden High Schools for fourteen years. Cunningham works with five curricular choral ensembles and a few independent study students each year. She created the GraceNotes and three levels of Vocal Jazz at Leyden: Jazz Choir, Vocal Jazz Ensemble & the Women of Jazz. She also is responsible for the Chamber Singers. She has also been a part of several theatre productions as production assistant, vocal director and director. Cunningham is an active member in NAfME, ILMEA, ACDA, JEN, AEA and ITA. Cunningham serves as the ILMEA District I Vocal Jazz Chair, and is the 2016 ILMEA All State Vocal Jazz Organizational Chair. Cunningham was recently asked to be on the Executive Planning Committee for the 2017 Illinois High School Theatre Festival. In addition to her responsibilities at the Leyden, Cunningham is also the director of the Voices of the Valley, a community choir in Oak Lawn and a vocal director for many musical theatre productions in the Chicagoland area. Cunningham has been a part of the production team at the 99th Street Summer Theatre program for nine years. She serves as a musical director for their day camp, and is the vocal director for the evening community theater productions. Sometimes she is even caught on stage performing!! Cunningham served as the Assistant Camp Director at the Janice Borla Vocal Jazz Camp for seventeen years. Additionally, Cunningham teaches private voice lessons out of her home and sings professionally throughout the Chicago area When Cunningham is not busy teaching, performing or doing other work related tasks, she loves to sew, travel, read, cook, see live performances and play games! Cunningham loves spending time with family, friends and her dog, Princess. She visits New York and Florida several times a year, and tries to venture out to the west coast now and then too!